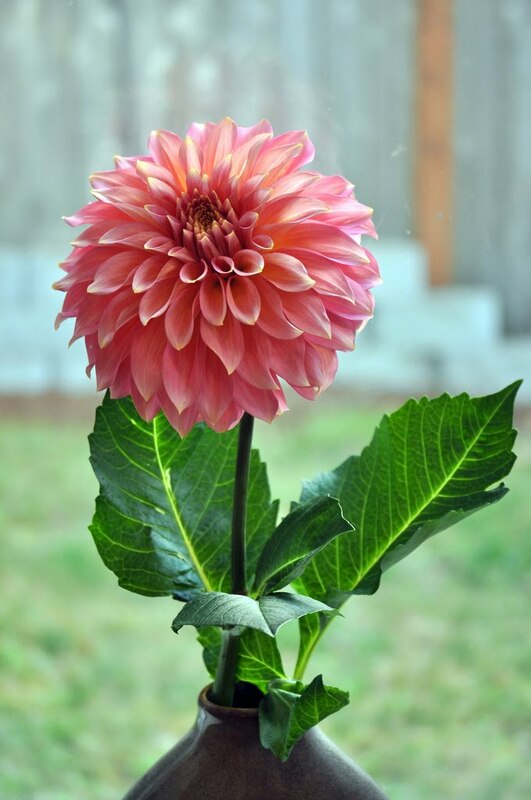 My Dream Canvas: A Dahlia on my window!! A Dahlia on my window!! I am joining the Key bunch blog carnival " Say it with Flowers". Have a wonderful week ahead. My 50 dollar CSN Giveaway runs the entire week, so make sure you leave your comment here. Your dalia is pretty, I have tried to grow them but was not always successful. Have a wonderful holiday. Ooh, I love the color of the dahlia, thanks a bunch for joining in the celebrations! Beautiful flower. I can see why you brought it home. so pretty and delicate !!! Thank you for stopping by my blog, I am so delighted you did because it meant I popped over to see you too and become a new follower. What a lovely bloom to brighten your day...I also love the little vase it is in. It is beautiful! The little things mean so much. Thank you for stopping by for a kind visit. It's nice to meet you. breadth taking picture Anu. lovely bright Dalia. First, Thank you for visiting My Cozy Corner and second I would love to win your giveway. Third and most important, I love Dahlias too. Wow!! Your blog is fabulous. 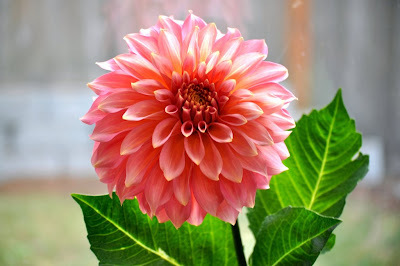 Hi Anu, I have several blooms on my Dahlia now and it is one of my favorite flowers. Thanks for stopping by for a visit and the kind comment you left on my Ballard inspired project. I am off to check out your previous post. Dahlias are my favorite flower, right up there with hydrangeas. The pictures are beautiful! Isn't it amazing how one flower can bring so much beauty and joy. Thanks so much for your visit. Perhaps next week you'll join us in Seasonal Sundays? I adore Dahlias. When I lived in Michigan I had them in my yard...beautiful....I hope you are having a wonderful week! 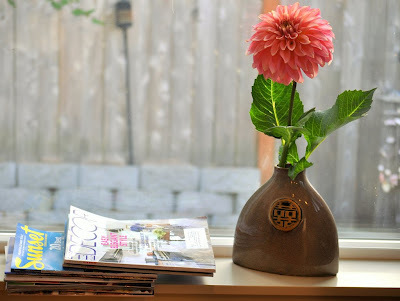 Oh that Dahlia is GORGEOUS! I think those are so lovely and the color of yours is fabulous! Thank you for stopping by my blog! I'm your newest follower. I'm going to take a peek around your lovely little place here! Thanks for the invite to join your give a way. Also for the nice comment on my blog. I love flowers and the picture of the dahlia is so pretty. oh, how gorgeous that dahlia is! thank you so much for showing us! i just won a csn giveaway, so i feel it's only right to not enter another! thanks for letting me know, and i'm so glad you stopped by the cape on the corner. Your dahlia is a stunner... It looks beautiful.